Listen up cool cats! Life of Herbie Hancock shows a man who hung with the coolest cats back in the day and is still influencing the younger cats with inspiration! From Dance music, to hip hop to classical... Herbie is the man who still "brings the noise" in regards to jazz creativity and "bridging the gap! 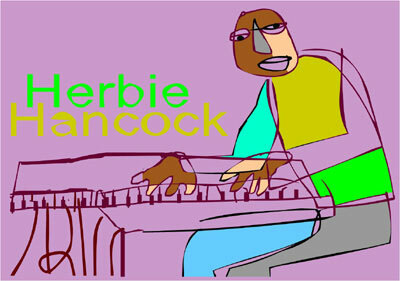 Herbert Jeffrey Hancock ("Herbie," born April 12, 1940) is a jazz pianist and composer. He embraces elements of rock and soul while adopting freer stylistic elements from jazz. As part of Miles Davis's "second great quintet," Hancock helped redefine the role of a jazz rhythm section, and was one of the primary architects of the "post-bop" sound. Later, he was one of the first jazz musicians to embrace synthesizers and funk. Yet for all his restless experimentalism, Hancock's music is often melodic and accessible; he has had many songs "cross over" and achieved success among pop audiences. Hancock's best-known solo works include "Cantaloupe Island", "Watermelon Man", "Maiden Voyage", "Chameleon", and the singles "I Thought It Was You" and "Rockit". "Rockit" was the record that ushered in hip hop to people all over the world! 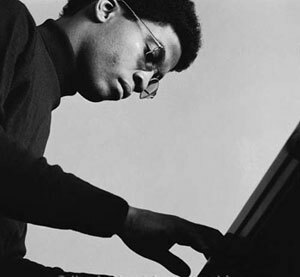 Hancock received considerable attention when, in May 1963, he joined Miles Davis' "second great quintet." This quintet is often regarded as one of the finest jazz ensembles, and the rhythm section has been especially praised for its innovation and flexibility. His 2007 tribute album, "River: The Joni Letters" won the 2008 Grammy Award for Album of the Year, only the second jazz album to win the award. Herbie continues to make breakthroughs in modeern music and the dude is not afraid to work with the young cats... that's why he is still so FRESH!